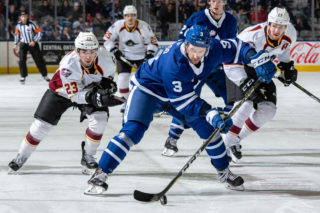 The Marlies knew they’d have a very motivated Americans team coming back at them today after handing them a 5-1 loss last night in Rochester. 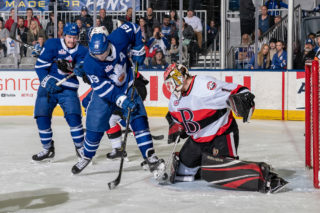 Penalty trouble proved costly to the Marlies as the Amerks answered back with a 5-1 win of their own to even out the home-and-home with a win apiece. 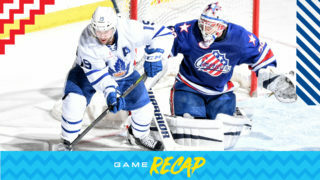 A penalty in the opening frame cost the Marlies as the Americans capitalized on a man-advantage to take an early lead. The opening goal was scored by Americans’ forward C.J. Smith who beat a screened Michael Garteig with a shot from the point at 13:25. The goal was assisted by Kevin Porter and Zach Redmond. The Amerks saw an early power play opportunity in the second as Josh Jooris was called for interference just 44 seconds into the frame. 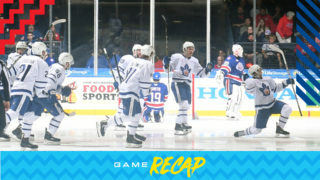 The Marlies penalty kill did their job to kill off the infraction and the game returned to even strength. At the 5:00 mark of the frame, Smith scored his second of the game beating Garteig with a snipe from the hash marks. The Marlies saw their first power play opportunity of the game at 6:21 of the second as Rochester’s Danny O’Regan was called for tripping. They were unsuccessful on the man-advantage and the game returned to even strength. The visiting Amerks held the Marlies to only four shots on goal in the second period and held a 2-0 lead on the scoresheet after 40 minutes of play. Trevor Moore got the Marlies on the board at 2:43 of the final frame, beating Scott Wedgewood with a beautiful wrist shot from an awkward angle. Dmytro Timashov picked up the lone assist on Moore’s 19thof the season. 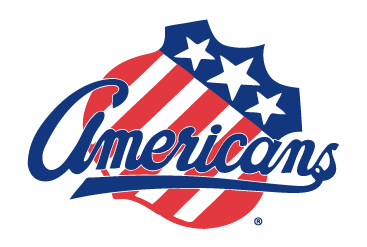 The Amerks responded with three unanswered goals, including two power play goals and an empty netter from C.J. Smith to complete the hat-trick. Trevor Moore scored Toronto’s first goal of the game at 2:43 of the third period. Moore is tied for third in the AHL in scoring (19). He has collected nine points (7 goals, 2 assists) in his last eight games. Dmytro Timashov picked up the lone assist on Moore’s third period goal. Timashov has recorded three assists in three consecutive games and has eight assists in his last eight games. Michael Garteig stopped 29 of 33 shots he faced. Garteig is now 1-1-0-0 on the season with a .917 Save Percentage and a 2.52 Goal Against Average. The Marlies head out on their annual Boat Show road trip, returning to Coca-Cola Coliseum on February 1. 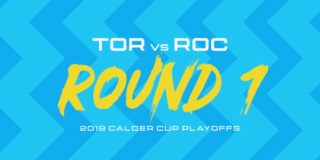 Before the All-Star Break (January 27 to January 30), Toronto will face the Charlotte Checkers twice, the Cleveland Monsters and the Belleville Senators twice. The Marlies are 6-5-0-0 in Saturday games and are 4-2-0-0 in January. Dmytro Timashov has assists (3) in three consecutive games. Andreas Borgman (concussion) did not dress for today’s game. He left Toronto’s game on December 19 against Binghamton and did not return. I thought we had, take out the first five minutes of the first period, I thought we had as good a period as we’ve had in a long time, maybe all season offensively. We generated a ton of chances and failed to score and that’s very dangerous. To come out of the period down 1-0 is disappointing, but I still thought it was a really positive period for us at even-strength. A lot like last week when we were in here playing against Charlotte, we had great chances to score early and their goalie was real good and we didn’t score and then they built a lead and similar to our game last night as well, they had some chances and they didn’t score early and then we were able to find a lead and pull away, so similar in that sense. Obviously disappointing with the way things got away from us in the third period after scoring and getting some momentum, so that’s disappointing but the first period, very positive for us and then the second period was what kind of set the game up to not go in our favour I felt. It’s not even game to game though, it’s period to period and shift to shift because like I said, I thought we dominated the first period. Their goaltender was very good today, he comes back after letting in five yesterday which he wasn’t bad yesterday, but they come back with him here again today and he’s very good for them early in the game. He gives them a chance to find their legs. We fell asleep in the second period and didn’t play right from the start of the period, so that’s where the consistency is period to period. We’re playing with the top teams in the league and if you’re not going to come to play for the second period, you’re going to be in pretty tough. 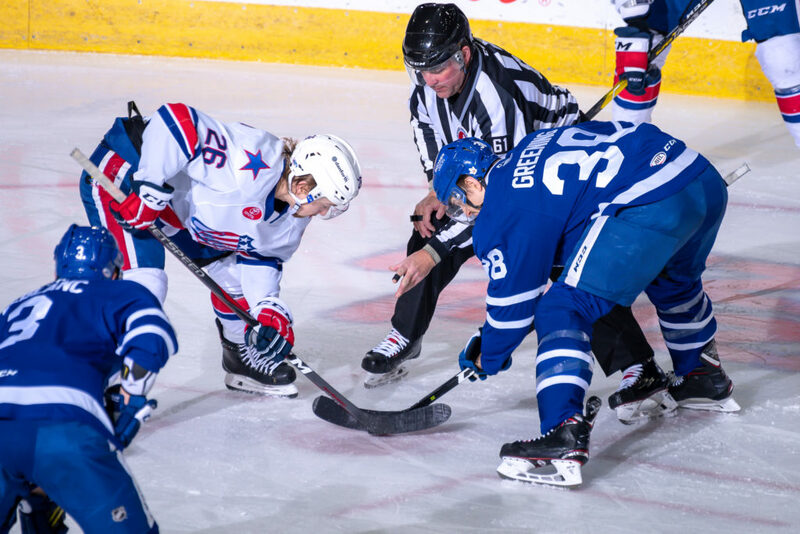 The Marlies (19-14-3-2) kicked off the weekend on the right foot, winning game one of their home-and-home series against the Amerks (22-13-2-0) in a convincing 5-1 final in Rochester. In a quick turnaround the Marlies will now look to make it three in a row as they host the Amerks for a 4:00 PM start at Coca-Cola Coliseum today. Players to Watch: Alex Nylander scored the lone goal for the Amerks last night. He now has 23 points (nine goals, 14 assists) in 34 games. Zach Redmond continues to lead Rochester with 30 points (16 goals, 14 assists) in 37 games and is second in the league in points amongst active defencemen. 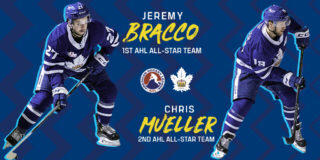 Jeremy Bracco picked up a goal in last night’s contest and now has four points in his last two games. He leads the league in assists with 29 and sits in the top 10 in points with 37. Pierre Engvall has scored in back-to-back games and now has 15 points (nine goals, six assists) in 34 games. Carl Grundstrom tallied a goal and an assist in last night’s game and now has three points in his last two games and 26 points on the season. Following today’s game, the Marlies will head out on a five-game road trip as the Toronto Boat Show comes to town. They will return home on February 1 to host the Laval Rocket to kick off a five-game homestand.